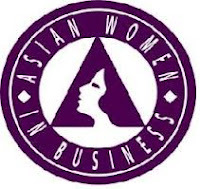 Asian Women In Business Scholarship Fund offers scholarships to exceptional Asian female students who are outstanding scholars as well as leaders. The scholarship targets those interested in service to their communities or entrepreneurship. Applicants must be U.S. citizens or permanent residents. Women applying can be from Bangladesh, Cambodia, China, India, Indonesia, Japan, Korea, Laos, Mongolia, Myanmar, Nepal, Philippines, Pakistan, Sri Lanka, Taiwan, Thailand, and Vietnam or Pacific Islander ancestry. A grade point average of 3.0 or above is required. Scholarships may be higher for students demonstrating financial need. Applicants must be enrolled full-time in an accredited four-year college or university located in the U.S. The scholarship is for undergraduates only. One semester of college work must be completed before applying. The scholarship is sponsored by Asian Women In Business (AWIB), a non-profit organization founded in 1995 and located in New York. Its primary purpose is to help Asian women who want to be business entrepreneurs. The scholarship demonstrates the goal of the organization to support the educational and professional needs of Asian women in the U.S. The deadline for this scholarship is usually in AUGUST of each year, and the award amount is usually $2,500 - $5,000.